Hello Refashion Co-op. 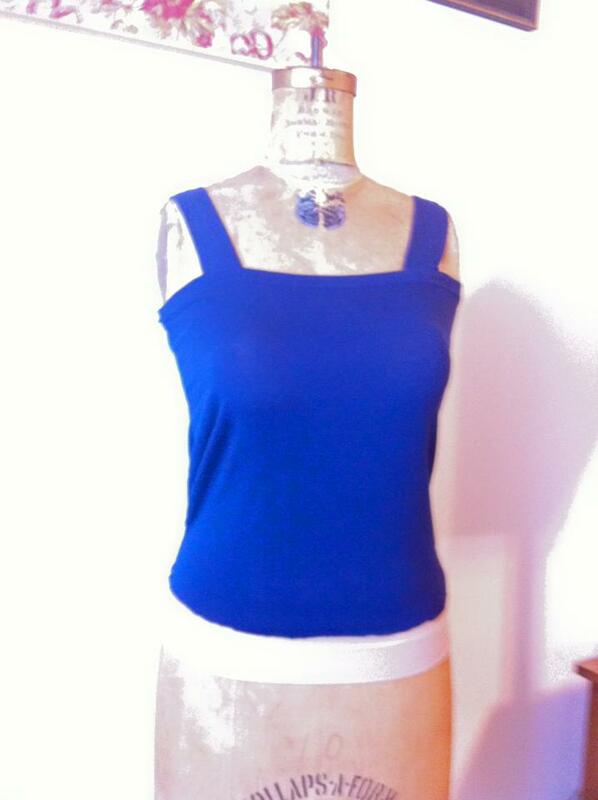 My project today is a fitted tank top. 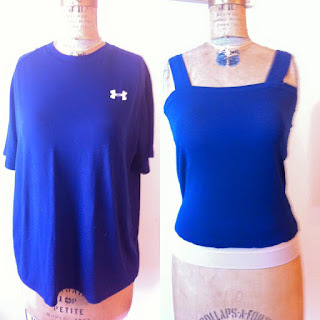 I made it from an old athletic T shirt that belonged to my husband. It was very easy and quick. I wanted something to wear under another shirt. 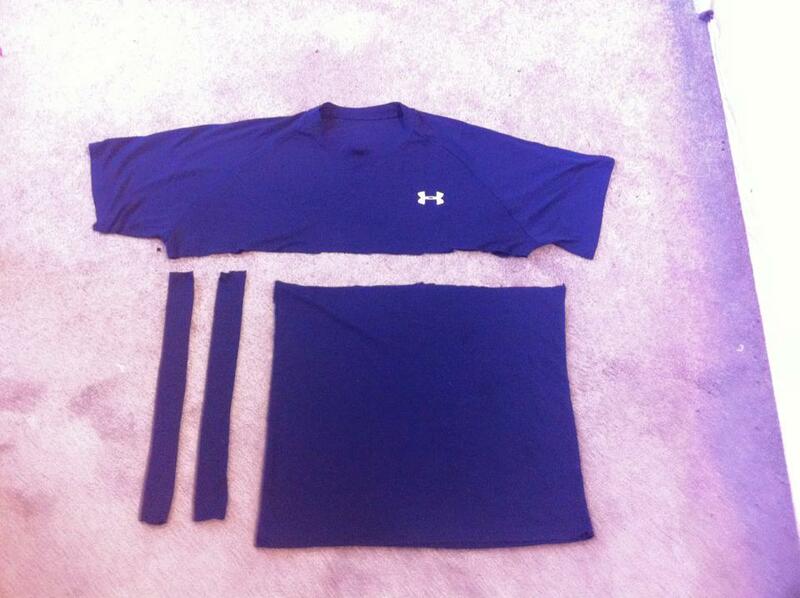 I cut off the top portion with the sleeves and the logo. 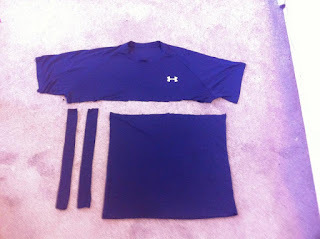 The bottom was sewn into one big tube for the shirt and two small tubes for straps. I flipped the large tube upside down and used the hem as the neckline. It made the top look more nicely finished without any extra effort or time on my part. I attached the small tubes and I was done. The straps are at an angle to cover my bra straps when I wear it. Great idea! Looks simple and practical! Nice refashion. I never thought about flipping the tube of the body upside down so that the original hem would be the new neckline. The bottom hem is still rough but the neckline looks a bit nicer. And with no extra work! Haha that's the best part. Wow that turned out great! Thanks for the idea!